"In art, in poetry and in her community of friends and family, Alexander finds divinity. The memoir itself is, of course, art. Its eloquent, grief-struck gratitude draws the reader in, and we celebrate and mourn alongside Alexander." "Beautiful, warm, lyrical, honest and reverent, THE LIGHT OF THE WORLD is a loving tribute to a much-loved husband, and to the strength, tenacity and determination of the wife left behind." 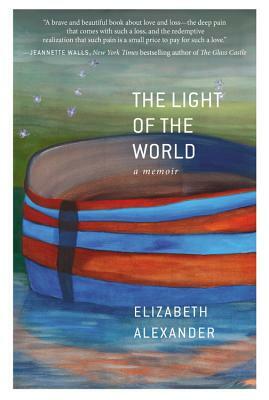 "Accomplished poet Elizabeth Alexander paints the lush details of a life well-lived in her memoir, THE LIGHT OF THE WORLD."